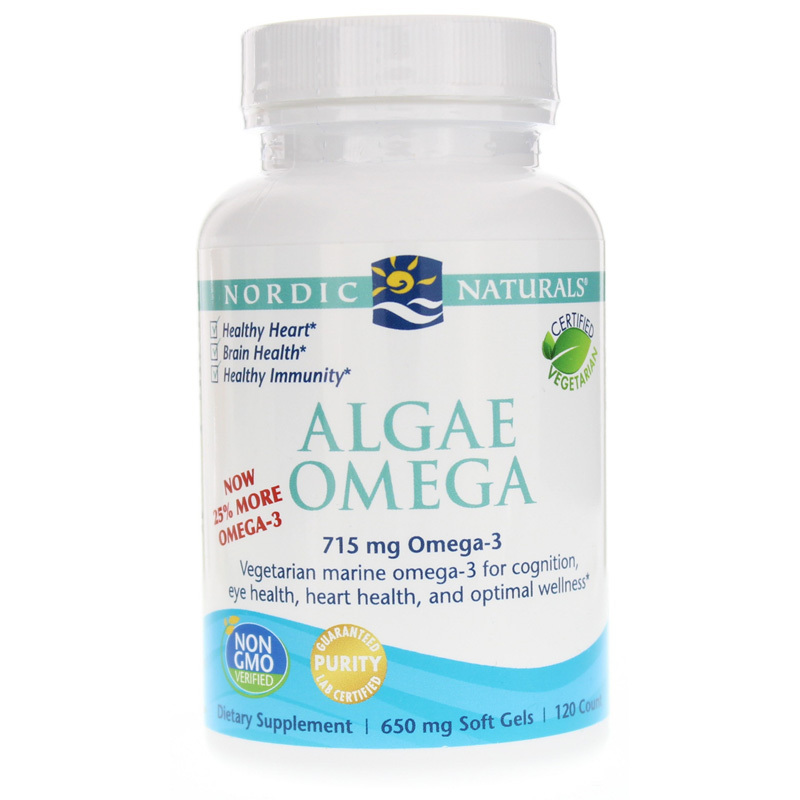 Algae Omega from Nordic Naturals is heart health support alternative to fish oil for vegetarians that has not been genetically modified. This heart supporting agent is sustainably sourced, has been certified by the American Vegetarian Association, and is made from microalgae. 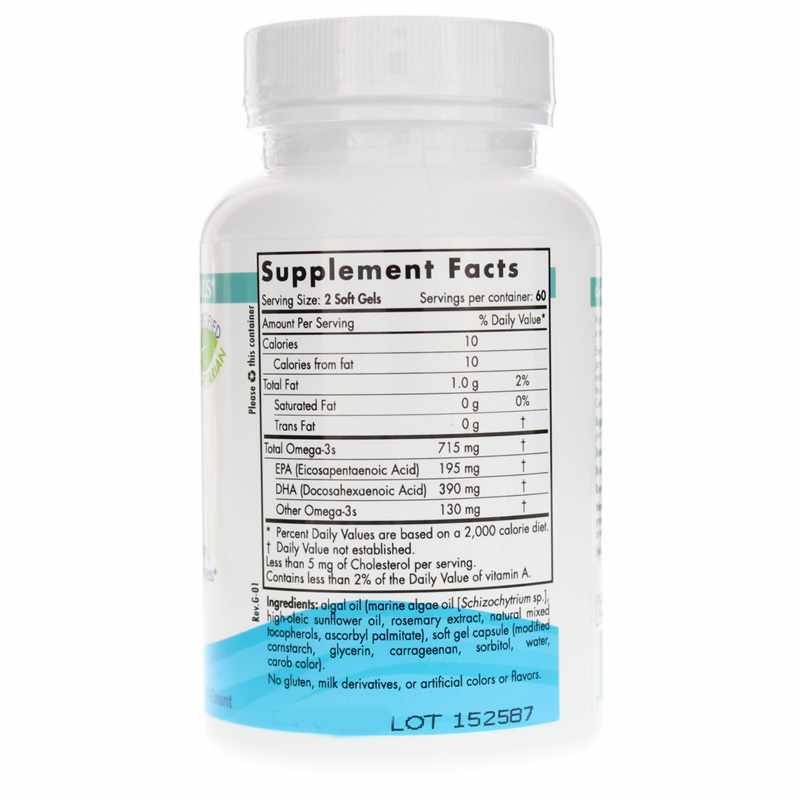 When using this vegetarian formula as a dietary supplement, adults may take two soft gels while eating, or as suggested by their healthcare professional. Ingredients: algal oil (marine algae oil [Schizochytrium sp. ], high-oleic sunflower oil, rosemary extract, natural mixed tocopherols, ascorbyl palmitate), soft gel capsule (modified cornstarch, glycerin, carrageenan, sorbitol, water, caramel color). Contains NO: gluten, milk derivatives, artificial colors or flavors. Adults: Two soft gels, with food, or as directed by your healthcare professional or pharmacist. Algae Omega is a good product, but I think they should not contain sorbitol, not great on my intestines and drop the caramel color which I have seen reports on that it's not healthy & I don't see why it's needed. It's great not burping up fishy omega 3. Will continue to purchase Algae Omega Vegetarian Omega-3 and make part of my daily vitamin intake. I am one of those label-scrutinizers, but somehow I missed all the extra nasties in this product, which was recommended to me by a Naturopath.<br>Carageenan is really toxic, and I have no desire to ingest the stuff. For years it has been linked with ulcerative colitis, intestinal lesions, and colon cancer. Unbelievable that it is being used in such a supposedly superior product. The little bit of sorbitol does not thrill me, but I'm not too concerned about that or the modified cornstarch. Just wasted my money. Am going to contact the company and voice my opinion as well. Buyer beware! 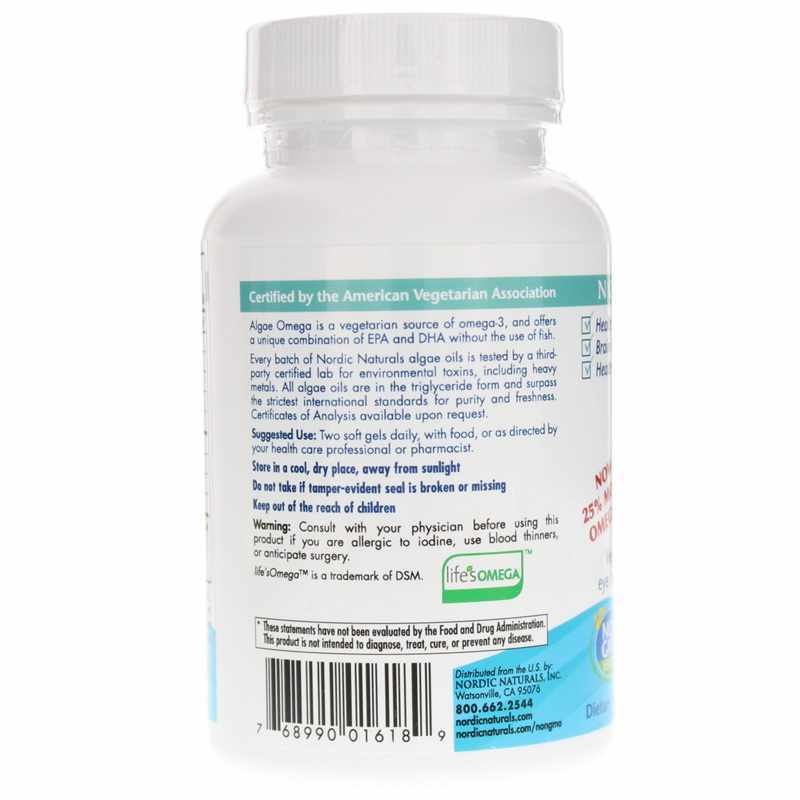 Nordic Naturals new Algae Omega formula ("now 25% more Omega-3") contains Life's DHA which is extracted with hexane and made with many other horrifying poisonous ingredients. If you really want to be terrified, google "Life's DHA" and read the many articles about it. The company that makes Life's DHA admits that it contains many harmful ingredients but is allowed to add it to organic products (including baby formulas) because fatty acids are not considered an agricultural product.